I’m cheating a little bit here. The 2010 Clos Floridene Grand Vin de Graves we actually finished last night but, given the beautiful ice storm that’s striking our windows at present (thanks Octavia), I opted instead to photograph the bottle this evening…and still I didn’t do our icy scene enough justice. We are just below the snow line so weather to the north is more imposing but this thin icy coating will be problematic over the coming 12 hours or so. But not at the moment, so let’s talk wine. This full Bordeaux has some excellent qualities…but overall left me just a bit wanting. 2010 Clos Floridene Grand Vin de Graves, France. At first I thought this big red just needed to breathe more before drinking, but even giving it some space I found the Floridene a bit tannic and youthful for my taste. I had held this bottle for some time (was it originally a gift?) and even broke it out for a classic Bordeaux dinner, but even complementing steak, asparagus, and baked potato, I found myself thinking about Cabs and Syrah instead of the bird in the hand. 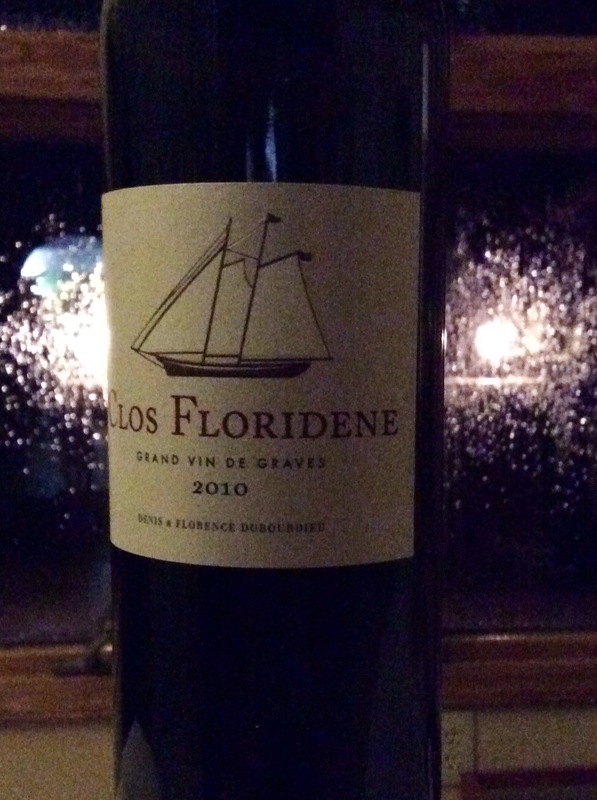 The 2010 Clos Floridene originates from Graves, France, where they should know plenty about grapes. And I’m sure they do…but whether they’re depending on me to blithely accept this as great, let it age longer, or just not tell the difference I’m not complying. Gave this one a go once but know there are others out there for me from Bordeaux…or even Cab country.